Summaries of facts, definitions, histories, statistics, and other types of information on large subject areas, organized for quick lookup. Basic overviews of new subjects when you're getting started. Quick lookup of factual info. Recommendations for more detailed sources (like books and articles). Reference sources are generally the place to begin your research, especially when you're starting out with an unfamiliar field. But they're also where you return when you need to look up formulas, facts, definitions, and other standard details; they tend to pack a lot of information into simple, easy-to-use packages. Many reference works are available online and are accessible through links from the Library Catalog and from subject or course guides, but many valuable reference resources are still available only in print, and a few highly specialized tools are on microform or CD. Because print-only reference books are in high demand, they are kept in separate, non-circulating reference collections in most UCLA libraries. Reference sources are rarely peer-reviewed. In fact, because they mostly contain established, factual information, they're sometimes not even cited in academic works, unless directly quoted. Check your style manual for best guidelines. As compilations of existing information, reference works are decisively in the category of secondary sources... to the point that some people call them tertiary sources. Because Wikipedia content is anonymous and lacks a formal review process, it's not considered a "scholarly source," and most professors don't accept Wikipedia citations in papers. That said, Wikipedia does increasingly cite sources, so you can use it to lead you to sources which you can cite. Encyclopedias attempt to provide comprehensive summaries of knowledge in either a specific field (subject encyclopedias) or "everything" (general encyclopedias). 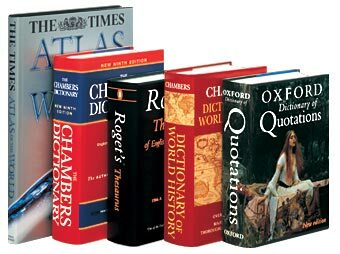 Encyclopedias are typically divided into a collection of articles on discrete topics. Academically oriented encyclopedias will often include short bibliographies, making them a good resource for identifying key books and articles on a topic. Almanacs and yearbooks summarize the current state of the world, a nation, an organization, an industry, or other topic. They often include statistics; in the case of statistical yearbooks, that's all they have. Both "handbook" and "manual" refer to the traditional small size of the volumes, designed to fit in one hand for ease of use. Despite this origin, many modern handbooks are quite hefty! Handbooks are "ready reference" sources which gather useful facts, terminology, and standards related to a specific field or profession. They're particularly common in the sciences, where they include formulas, constants, lab procedures, and medical protocols. Search "[subject] handbooks" within Subject List.